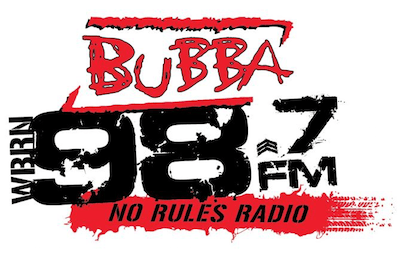 Bubba The Love Sponge keeps digging a larger hole for himself and Beasley’s “Bubba 98.7” WBRN-FM Holmes Beach/Tampa. Beasley Media Group commented today on the announcement by Nielsen Audio that it would delist the Company’s Tampa Bay, Florida station, WBRN-FM 98.7, from its October 2015 Ratings Report. WBRN-FM was previously excluded from the September 2015 Ratings Report even though Nielsen announced that the affected PPM Panelist’s listening was not included in that Report. In October, Nielsen filed a lawsuit against Todd Clem (AKA, ‘Bubba The Love Sponge’), who serves as an independent contractor to Beasley Media and other radio broadcasters. Nielsen’s lawsuit is based on Todd Clem’s attempted ratings distortion activity in Tampa involving WBRN-FM 98.7 broadcasts, through his direct contact with a PPM Panelist. At the time the incident became known to Beasley Media, the Company publicly condemned the actions of Mr. Clem, who has provided syndicated programming to radio broadcasters for many years and is not a Company employee. Since that time, Beasley Media has instituted several steps to ensure that such conduct does not occur in the future including compliance training for Mr. Clem and his employees and the distribution of guidelines reiterating the importance of avoiding conduct that could cause ratings distortion to all Beasley employees. At the time the incident occurred, Nielsen Audio stated that Mr. Clem’s conduct had no impact on the Tampa Bay radio market ratings because the improper activity was discovered in a timely manner and Nielsen moved quickly to remove the PPM Panelist’s results from the survey. Nevertheless, due to Mr. Clem’s attempt to influence the listening of a PPM Panelist, it was Beasley that suffered the penalty when Nielsen failed to include its station, WBRN-FM (98.7 MHz), in the September 2015 Ratings Report. The second delisting today may further adversely impact Beasley. INSTANT INSIGHT: So Beasley is going on the record blaming Nielsen for any negative impacts they may feel in the Tampa market financially, but not Bubba The Love Sponge who was the one who was attempting to cheat the system? Original Report 11/2 11:45am: After having the station delisted from the Nielsen Audio September 2015 PPM monthlies for attempting to distort the ratings by paying a listener and then being sued by Nielsen over the incident, Nielsen has discovered more attempts by Bubba The Love Sponge to tamper with the ratings. Nielsen delayed the release of the October monthly last week for further “Quality Assurance”. The delayed numbers will be released today but not include WBRN-FM as the ratings provider found evidence of further panel tampering attempts. My friend, who works for Beasley (no, I will not mention names), is deeply disappointed with this. If I were Bruce, I’d cut off his contract immediately and use any sort of ways to sever it. Normally, companies would try to distance themselves by these sort of actions, but wow…Beasley won’t do it. And I honestly thought good things about that company. Guess I was misled. I once worked for Beasley, albeit when the elder Beasley ran the company. This doesn’t surprise me in the least based on that experience. I don’t know if today’s Beasley is any better, but I didn’t respect them a lot when I was there many moons ago. In the first case, Beasley was too light in its response, but (taking their comments at face value) this second one so far has me agreeing with their perspective. It doesn’t sound like Nielsen has been forthcoming with the details. If I were with Beasley, I’d do exactly what they seem to be doing: Deciding which is the better business decision, cutting Clem loose or keeping him. If you’re a moralizer, then sympathy for Nielsen is curious because they have been presenting distorted ratings as accurate for many years.